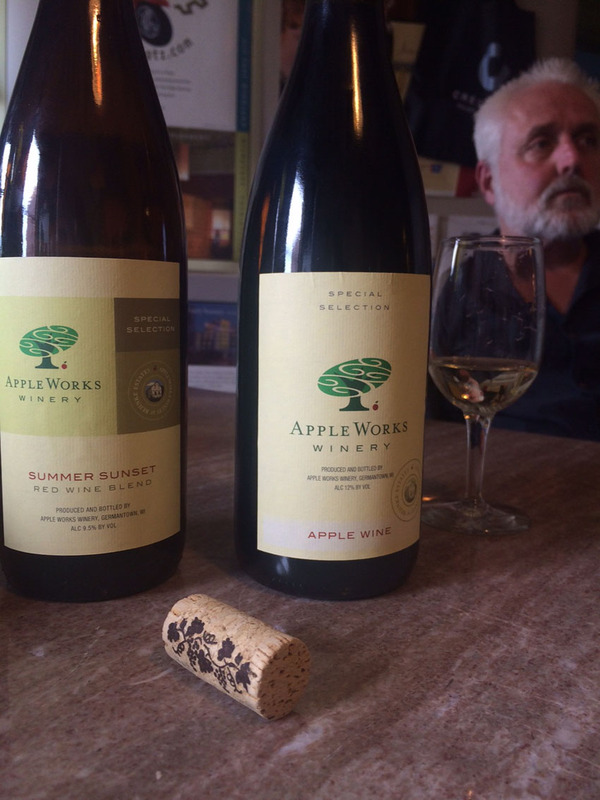 Paying respect to it’s past, it’s next incarnation will be that of Apple Works Winery (and Cidery), which plans to open it’s doors in the very near future. Included in our design development was a family of logos, along with multiple labels, for their two brand offerings. 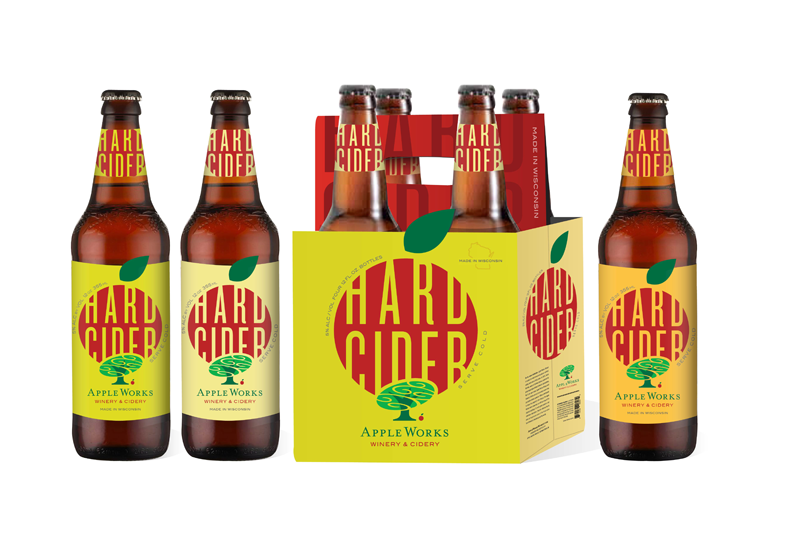 Apple Works Winery, as the name suggest, will primarily feature apple related products. 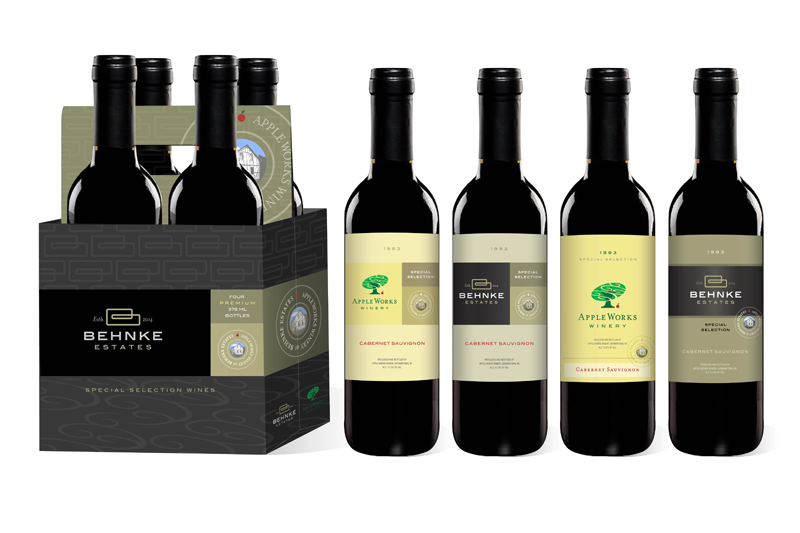 There is also a separate, but related brand identity developed for Behnke Estates, which will serve the market with more traditional wines. Recently, Kevin stopped into our office to review sample wine labels. Even though what’s shown here is only hand applied, we’re so excited that we can just about taste it… And we did! !